South Korean Lee Mi-rim has picked up her third career LPGA Tour title in California. Lee cruised to a six-shot victory at Kia Classic at par-72 Aviara Golf Club in Carlsbad, California, on Sunday (local time). 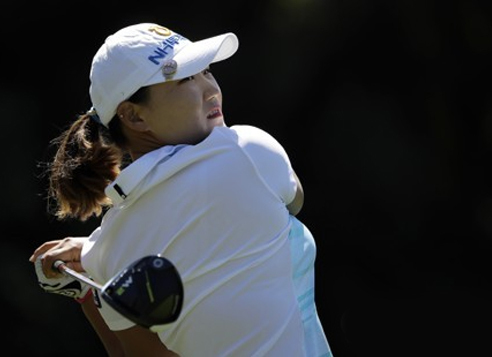 She began the final round nursing a one-stroke lead over fellow South Korean Hur Mi-jung at 13-under, but poured in five birdies on the front nine in the final round to pull away from the pack. Lee carded a bogey-free round of seven-under 65 on Sunday for the four-day total of 20-under 268, and cashed in $270,000. This was Lee's third LPGA win and her first since winning twice in the 2014 season. The Kia Classic was the sixth LPGA tournament in 2017, and Lee, world No. 21, is already the fourth different South Korean winner of the season.